3.19.14 | Oh Look! It's A Blog! I have been busy setting up the new skybox from What Next available at The Garden by The Liaison Collaborative. The shelving is built into the skybox and they do come empty. Any decor items you see I filled the shelves myself since I seem to have a large assortment of random knick knacks. On to the credits as they always take a while. This entry was posted in iheartslFeed, Uncategorized and tagged A.D.D. 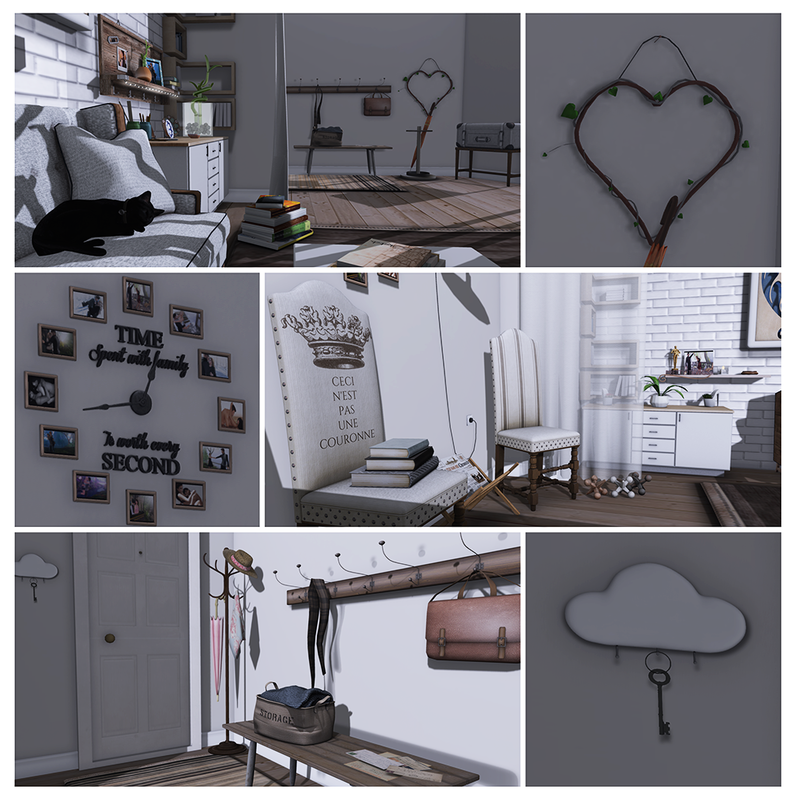 Andel!, ADD Andel, Alouette, Atooly, BAZAR, Breno, C88, Collabor88, Commoner, Creo, Decor, Decorating, Floorplan, Furnishing, Furniture, Gacha, Garden, Half-Deer, Hideki, Home, house, Interior, Interior Decorating, Interior Design, Kuro, Living Room, Mesh, mudhoney, Pilot, Pixel Mode, Roost, Sari Sari, Scarlet Creative, Second Life, Second Spaces, Skybox, SL, Tarte, TCF, The Arcade, The Arcade Gacha, The Arcade Gacha Event, The Boutique, The Chapter Four, The Garden, The Liaison Collaborative, The Liasion Collaborative, The Loft, TLC, Trompe Loeil, what next, Zaara, Zooby. Bookmark the permalink.